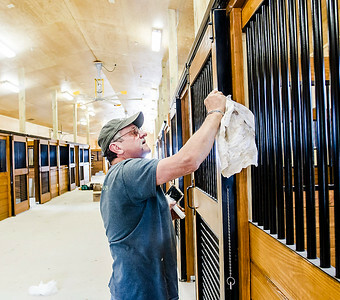 Sarah Nader- snader@shawmedia.com Volunteer Ron Hisel of Bull Valley stains one of the 20 new horse stalls at Main Stay Therapeutic Farm in Richmond Tuesday, May 3, 2016. Main Stay, which works with disabled kids and other, has undergone major renovations with some brand new facilities. The 37,000 square foot building is expected to be completed in early summer. Sarah Nader- snader@shawmedia.com R.B. 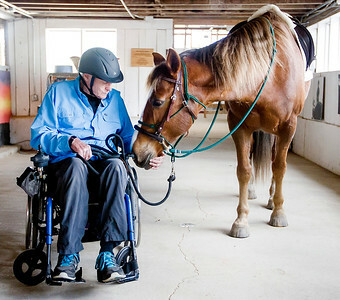 McAllister of Woodstock walks a horse after taking a riding lesson at Main Stay Therapeutic Farm in Richmond Tuesday, May 3, 2016. Main Stay, which works with disabled kids and other, has undergone major renovations with some brand new facilities. 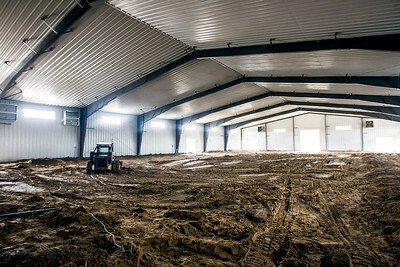 The 37,000 square foot building is expected to be completed in early summer. 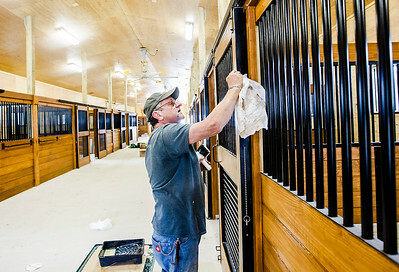 Sarah Nader- snader@shawmedia.com A view of the new indoor riding arena at Main Stay Therapeutic Farm in Richmond Tuesday, May 3, 2016. Main Stay, which works with disabled kids and other, has undergone major renovations with some brand new facilities. The 37,000 square foot building is expected to be completed in early summer. Sarah Nader- snader@shawmedia.com A view of the new building at Main Stay Therapeutic Farm in Richmond Tuesday, May 3, 2016. Main Stay, which works with disabled kids and other, has undergone major renovations with some brand new facilities. The 37,000 square foot building is expected to be completed in early summer. Sarah Nader- snader@shawmedia.com Volunteer Shelley Gray (left) of Island Lake helps R.B. 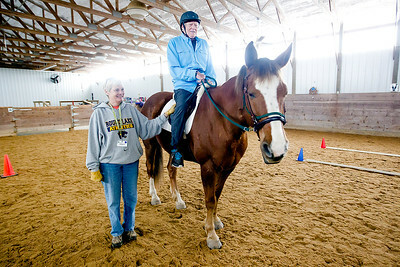 McAllister of Woodstock while he takes a riding lesson at Main Stay Therapeutic Farm in Richmond Tuesday, May 3, 2016. Main Stay, which works with disabled kids and other, has undergone major renovations with some brand new facilities. The 37,000 square foot building is expected to be completed in early summer. R.B. 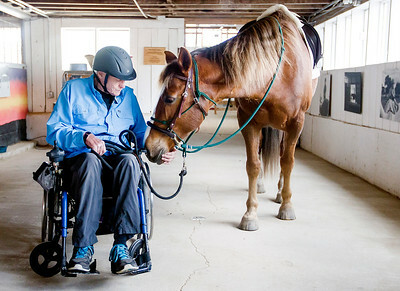 McAllister of Woodstock walks a horse after taking a riding lesson at Main Stay Therapeutic Farm in Richmond Tuesday, May 3, 2016. Main Stay, which works with disabled kids and other, has undergone major renovations with some brand new facilities. 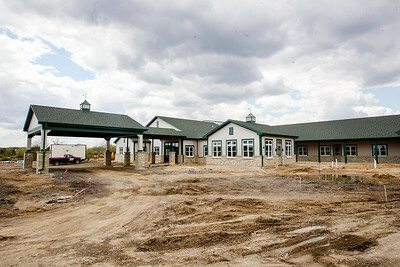 The 37,000 square foot building is expected to be completed in early summer.